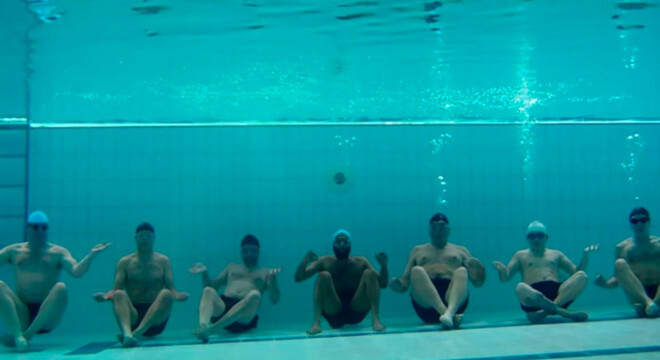 SWIMMING WITH MEN – hailed ‘The Full Monty in speedos’ – is a heart-warming comedy about a man in the throes of a mid-life crisis who finds meaning in the most unlikely of places: An all-male, middle-aged, amateur synchronised swimming team. 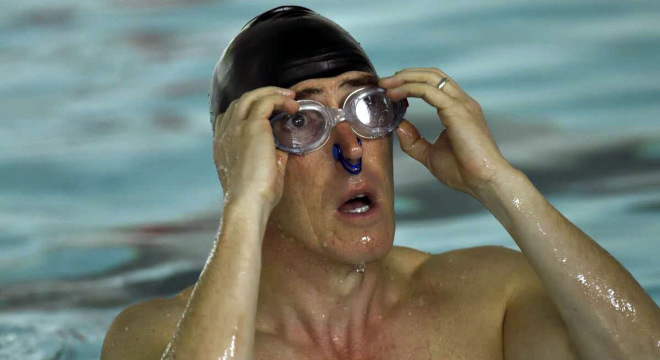 At the heart of the story is Eric (The Trip’s Rob Brydon in his first leading man role), a 40-something stuck in a rut. With his marriage in tatters and his life generally going to pieces, Eric finds unexpected refuge in the company of a motley crew of middle-aged, slightly saggy men, who meet up once a week at the local municipal pool to literally and figuratively tread water together. Eric slowly realises that there’s strength in numbers and that if this unlikely band of misfits can become a real team they might just have a shot at winning the Unofficial Male Synch-Swimming World Championships – and maybe even at turning their lives around. A fantastic cast including Charlotte Riley and Jim Carter support Brydon in this feel-good comedy from BAFTA nominee Oliver Parker (Johnny English Reborn, Dad’s Army).